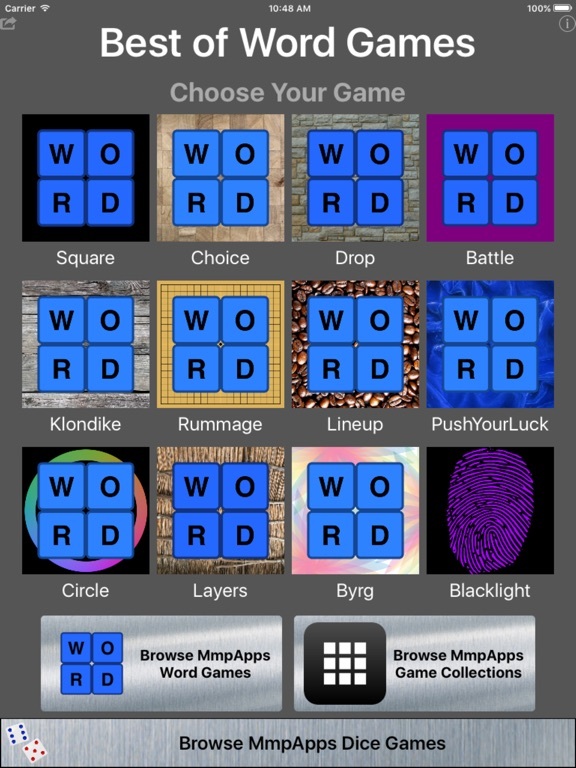 MmpApps has over 40 word game apps. This collection bundles the 10 most popular in a single convenient package. All games are free to play. No in-app purchases. 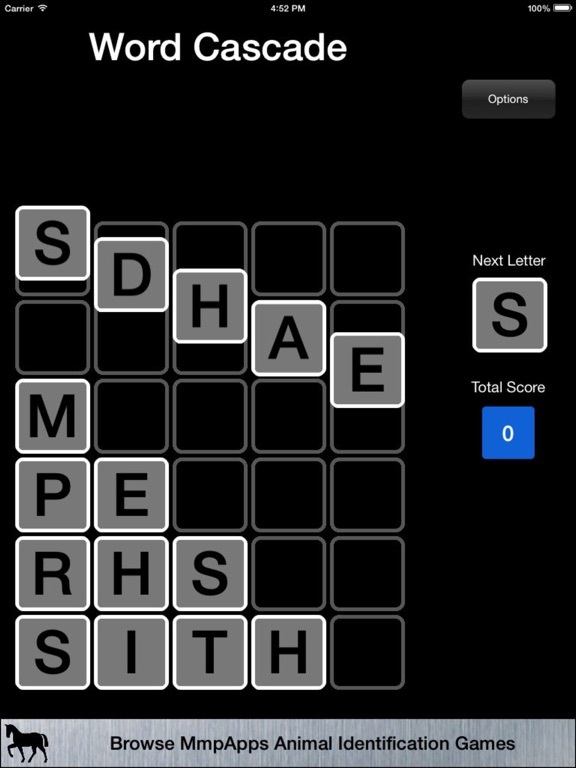 WORD SQUARE: The classic word game where you place letters in a grid. You score points for all the words of three-or-more letters made in rows and columns. For example MAPES will score MAP APE and APES. 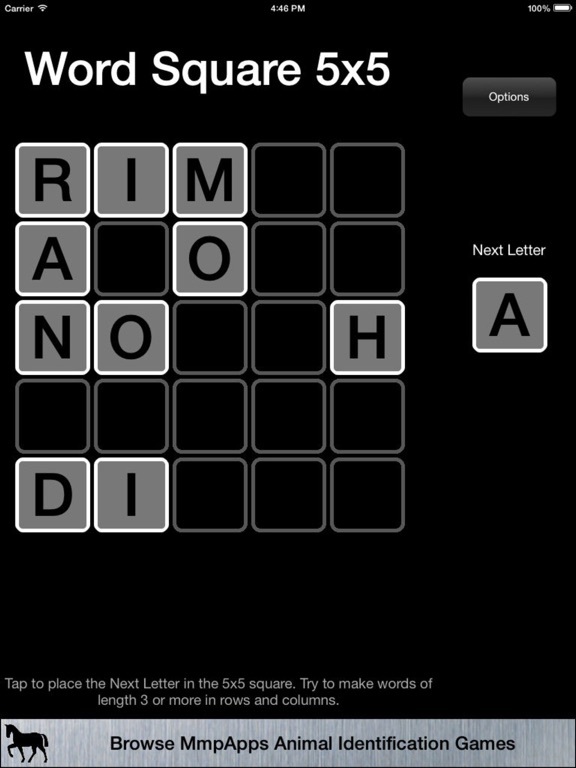 WORD DROP - Find words in a grid of letters. Once a word is scored the letters are removed from play and all remaining letters fall into place. WORD CHOICE: A variant of Word Square where you can choose the next letter to play from a set of five options. 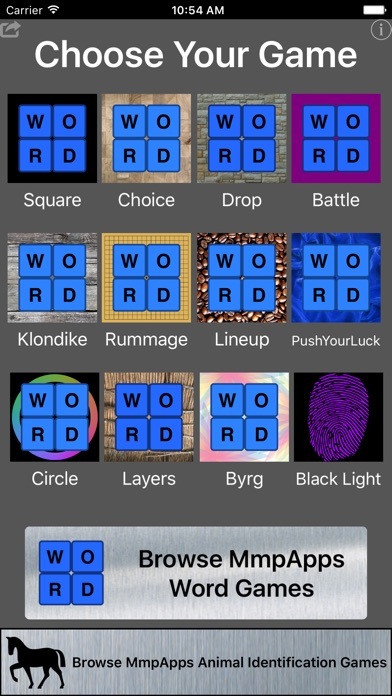 WORD BATTLE - Take turns with your opponent picking words from a board of letters. The longer the word the higher the score. PUSH YOUR LUCK WORDS - Draw 5 letters and distribute any or all of them as you like into 3 separate words. 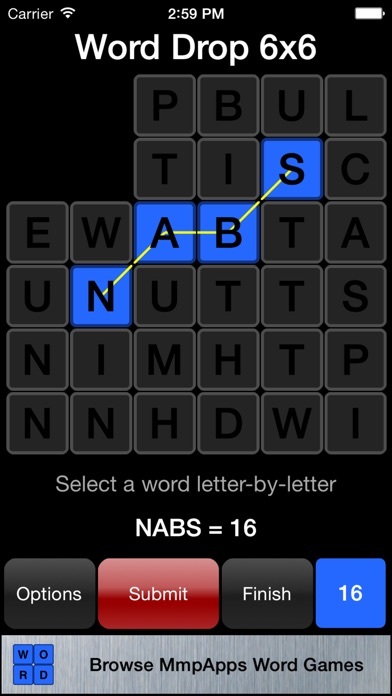 Draw as many times as you like but you must promote at least one letter each draw. 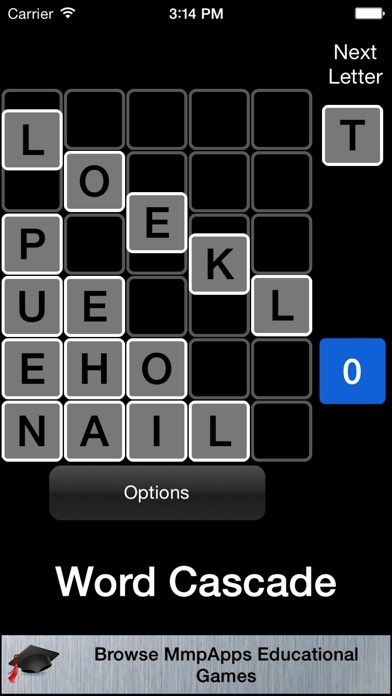 If you don't make 5-letter-words your opponent will steal your points. WORD LINEUP - Given a set of random letters, arrange them into words. Try to beat the computer. WORD CIRCLE - Place letters one-at-a-time onto the boundary of a circle. Once the circle is full all words on the circle will score. Longer words are worth more than shorter words. WORD RUMMAGE - Place letter tiles on a board to make words. You are not restricted to keeping the tile co-linear, the only restriction is that the board must stay connected. There are two modes, one where longer words are scored higher and another were the score is the sum of the letter values. WORD LAYERS - Select a word from a stack of letters four layers deep. You can only select letters that are not covered by existing letters. After the word is scored it is cleared from the board revealing the letters underneath. The deeper in the stack you go the higher you multiplier becomes. BYRG - A Word Drop game where the first time you use a letter it turns yellow, the second time red, and the third time it is removed from play. Yellow and red letter give bonuses so the order you submit your words is vital. 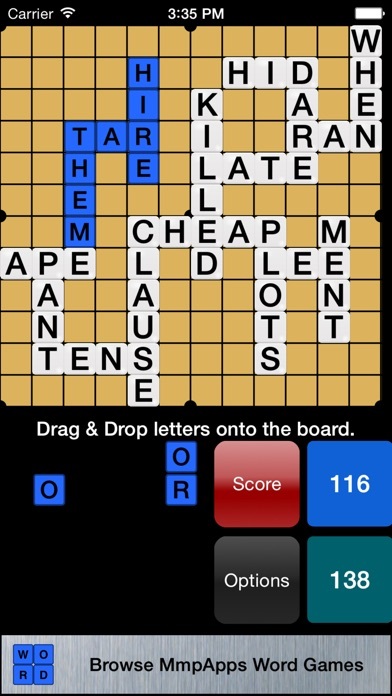 WORD SLIP - A Word Drop game where after each word scored an entire row of letters falls onto the board. 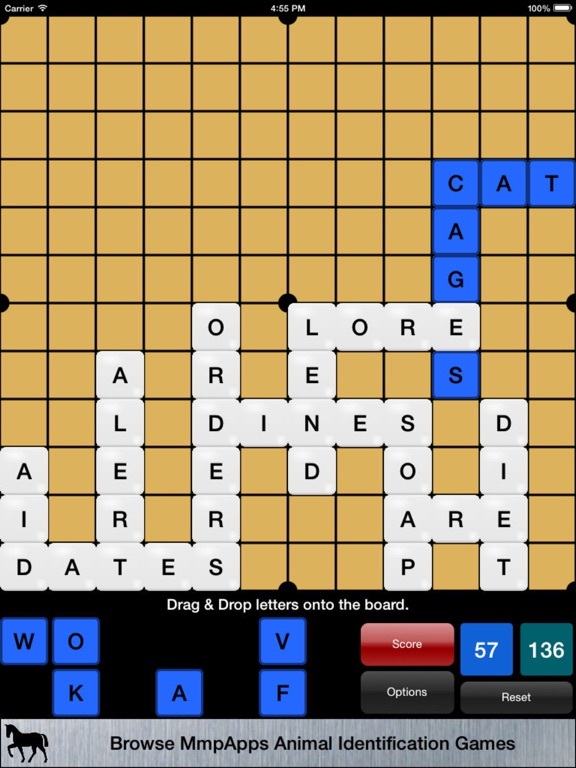 WORD CHALLENGE (iPad only) - Compete against the computer in a tile placing game. 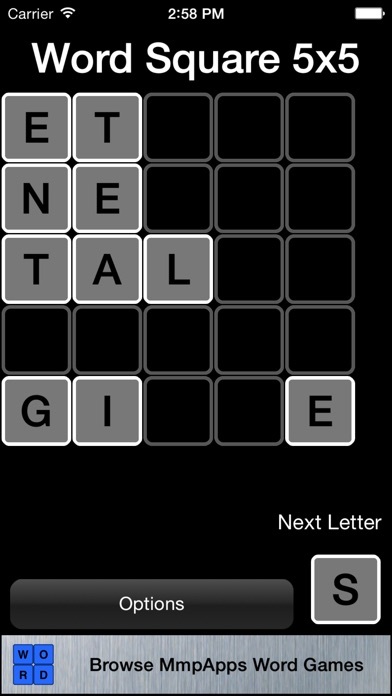 PERPETUAL WORDS - Find words in a grid of letters. Once a word is scored the letters are removed from play and all remaining letters fall into place along with replacement letters. The length of word required gradually increases as you succeed. WORD PYRAMID - Make words from letters in a layered pyramids. The more letters you use the more letters you reveal. WORD YACHT - Roll dice with letters and try to fill a scoresheet with words.